The faces of some people who are very happy to be dressed as sailors serving ice cream. Because, truly, is there anything more quintessentially ‘80s than a) malls and b) deliciously retro adverts for said malls featuring the Gap? Netflix just dropped a very cryptic teaser hyping up a major new addition to the humdrum happenings of Hawkins, Indiana (when it’s not like, you know, being threatened by supernatural madness and whatnot)—a Starcourt shopping mall. The teaser doesn’t actually tell us much because, well, it’s a TV ad for a shopping mall. It goes all in on the retro vibes, right down to an ‘80s technicolor store sign that literally just says “jazzercise.” Which is delightful! 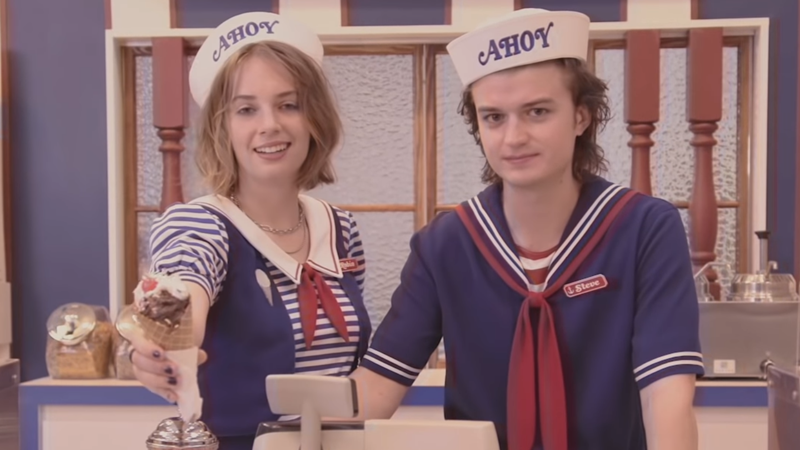 But if you were expecting any really major hints about what’s in store for season 3, you’re not going to get a lot other than the fact that Starcourt will likely be a major location in the next season and everyone’s favorite dad-but-not-a-dad Steve now works there, at the food court’s nautical-themed ice cream parlor alongside Stranger Things newcomer Maya Hawke, who will play Robin in the third season. 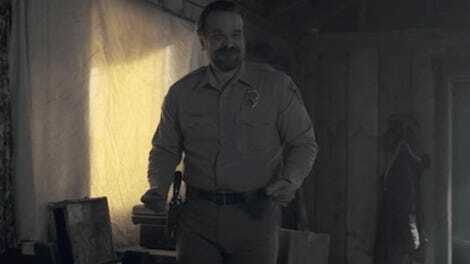 The teaser ends noting that Starcourt Mall is set to open in Hawkins “next Summer,” which could be the vaguest of hints as to when we actually get to see Stranger Things’ third season hit Netflix. Given it’s meant to be set in summer this time around rather than fall like the prior seasons, it’d make sense!